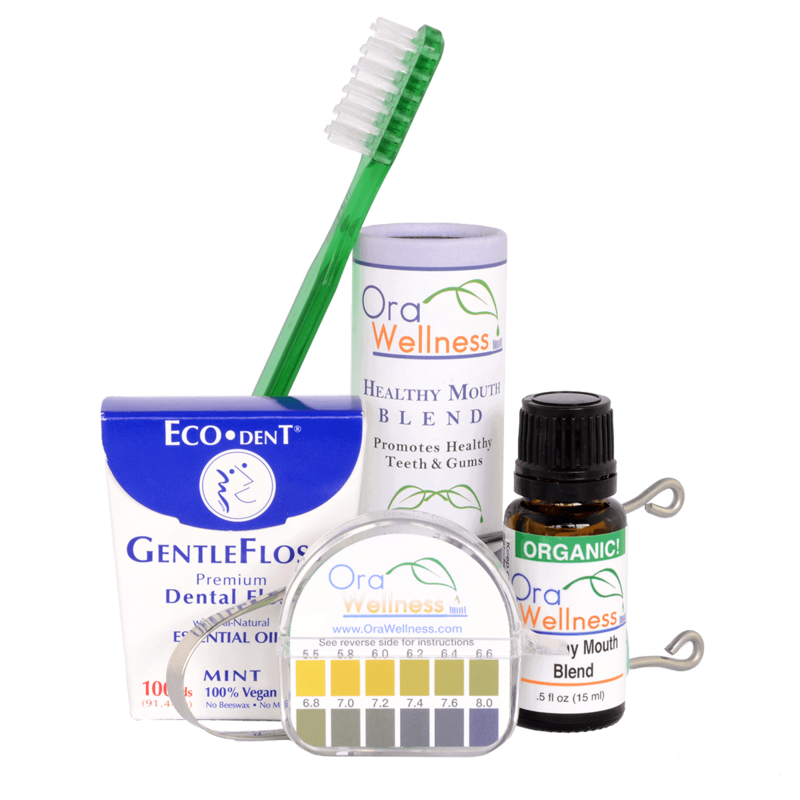 The Orawellness Starter Kit in my humble opinion is the Best Teeth Cleaning System currently out there because it contains everything you need to get started in fixing your Oral Health. 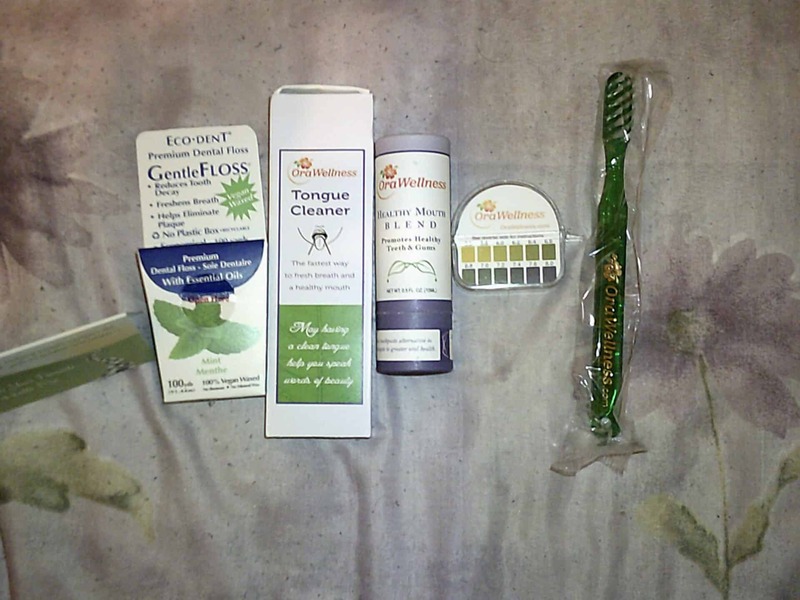 If you are someone who has problems with bleeding gums and bad breath, or just want to improve your general oral health, this starter kit is for you and in this review we will be going in depth about each of the different components to see how effectively they work. 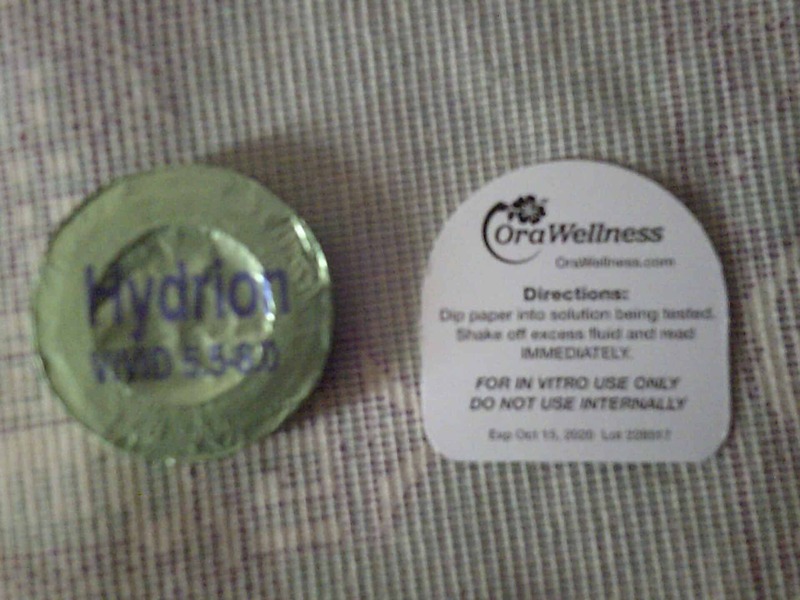 The review will be based on my first hand experience because I just received my Orawellness Starter Kit a couple of days ago. I want to see if it can make a difference to my gums because at the moment they tend to bleed quite often. Actually the kit was advertised as something that could help reverse gum disease so I’m badly hoping it works. Below is a picture of my own teeth and gums, you can clearly see that I have mild form of gum disease because I tend to bleed regularly when brushing which is a major sign. It’s not as bad as before because I am more conscious and thorough in my cleaning which includes flossing. But the damage was done in my childhood and early teens because I didn’t pay any attention to my teeth, There was no urgency from my parents either and I didn’t see a dentist until I was 11. Imagine the shock on his face when looking at my buck teeth. I’m 25 now and it’s only been a couple of years since I have got really serious about restoring my oral health as good as I can. Investing in an electric toothbrush was one of the greatest things I did but it wasn’t until I started Flossing that I saw rapid change. Flossing in my eyes is just as important as brushing because you remove all the dirt from in between the teeth where most of the plaque builds up. I am happy to report that my plaque has been reduced drastically since the inception of flossing and better brushing techniques. One day I was reading about how to stop bleeding gums and came across this unusual technique called the Bass Brushing Method. It stated that this particular brushing method was proven to be more effective at fighting gum disease than any other way of brushing. The biggest difference was the design of the toothbrush. It contained far fewer bristles than regular brushes and they were spaced out more freely. Apparently this helps the bristles get down and below the gum line area where most of the disease causing bacteria live. Well for me there was nothing to lose and everything to gain so I searched up the best way to implement the Bass technique which lead me to Orawellness and after reading about their product I dived right in and brought my Starter kit. Proven Method + Specific Problem = No Brainer when purchasing a product! This is one of the key components in the whole package, it will be the main fighter against gum disease. With this brush you will need to implement the bass technique to help you disrupt the bacteria on the gum lines. It’s been studied scientifically and has shown to reduce more pathogenic bacteria from the gum line than any other method. The problem with regular brushes is that they have too many bristles on them which just mash on the gums and don’t get enough of the bacteria. This is where Dr Bass comes in because he created a toothbrush which contains fewer bristles than a normal brush but also made the ends of the bristles round. 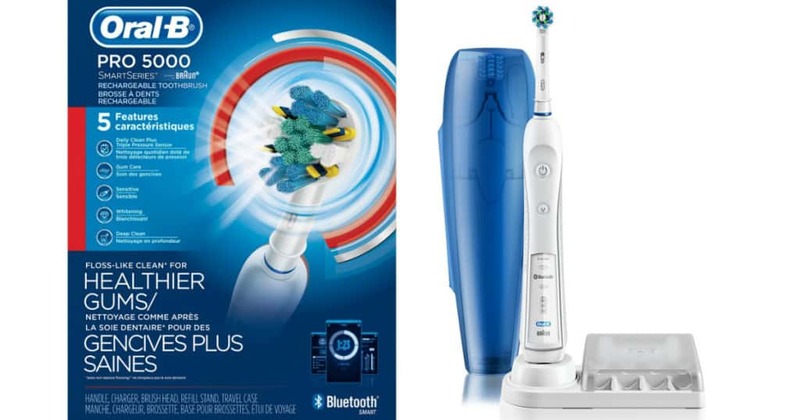 This combined with the bass toothbrush is what sets this Kit apart from the rest. The mouth blend is an antibacterial solution that supposedly eliminates the bad bacteria in the mouth. It contains naturally occurring essential oils making it safe for most people to use. I was sceptical at first but after reading scientific journals about essential oils and their proven efficacy against bacteria I was optimistic and went ahead with the purchase. To be totally honest, I only brought this kit for the brush, mouth blend and tongue cleaner. The additional things don’t mean too much to me. This is the most overlooked area of the mouth but one that can create a lot of trouble. It harbours an immense amount of bacterial activity and if not removed will cause awful breath as well as spread of infection. Have you ever noticed yellow/greenish gunk on the top of the tongue, well this is the bacterial bio film which has been left uncleaned and these bacteria release sulfur compounds which cause the atrocious smell. That’s why it’s important the starter kit came with a metal tongue cleaner because it helps scrape off the gunk better than most tongue cleaners. Flossing is essential, It’s just as important as brushing because it will remove the plaque and debris from in between the teeth. The toothbrush cannot do this. If you do nothing else, just brushing and flossing alone will give you a solid set of teeth and gums. 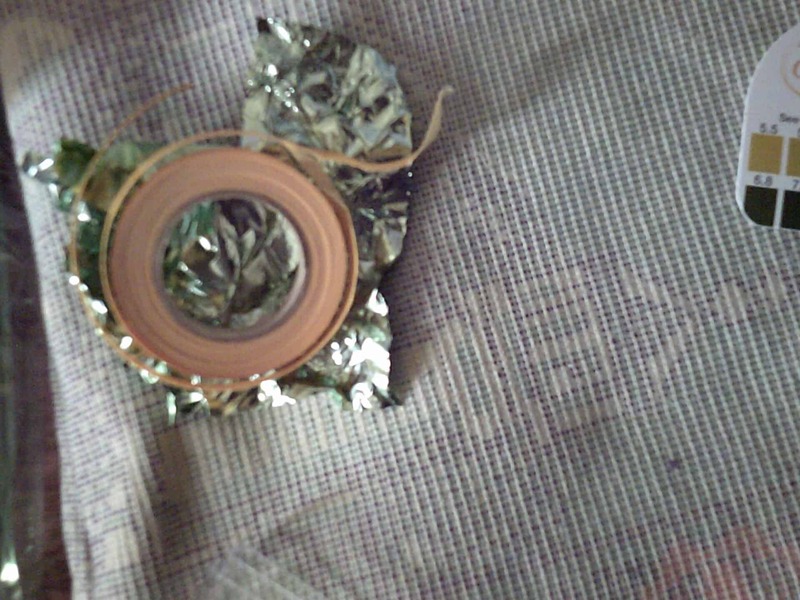 I like the fact, it’s Eco friendly in the sense that it uses degradable packaging and the floss string itself is made from degradable vegan wax. Not from beeswax or mineral wax which take an age to disintegrate. The other great thing about this floss is that it’s been treated with essential oils which will be delivered below the gum line to help eliminate bacteria. What Are PH Test Strips Used For? When the mouth pH is off the ideal range of 6.8-7.0, it creates an environment for ‘bad bugs’ to proliferate in the mouth. keeping an eye on our saliva pH provides us an easy to measure feedback loop to know whether our actions to improve our oral health are helping or not. when saliva pH is consistently around or below 5.5, it provides the good conditions for all sorts of disease causing microorganisms. I guess these test strips will give us some sort of accountability and enable us to consistently measure our progress which is good I guess. As you know, I purchased the Remineralizing Powder from this very same company and my results have been great. The sensitivity on my lower teeth has reduced considerably and they have become much stronger. I can vouch for the company and their customer service is great although they can be slow to respond in peak periods. The Orawellness starter kit is suitable for everyone to use. Even Pregnant Women can benefit from this product. I say that because the only component that can have an adverse effect is the Healthy mouth blend. But Will And Susan (founders of orawellness) have stated that each individual ingredient isn’t too strong and has been diluted to safe levels that are still potent enough to support each of us along our path to optimal oral health. Not to mention the testimonials from literally hundreds of happy moms and moms­-to-­be who have used this product through their pregnancy to help them better their oral health. It’s not rocket science but there are some good habits to get into. What I like to do is 30-40 minutes after eating breakfast I start my first oral cleansing routine. I start off by using Floss to get rid of any little particles stuck in between the teeth. This takes around 2-3 minutes to go around the whole mouth. Afterwards I move onto the Tongue Cleaning which involves using the metal scraper. I use the curved end and place it right back onto the tongue and scrape forwards. I repeat this 10-20 or so times until I see no more gunk being built up on the tongue scraper. It’s pretty grim and I have put some pictures further down the post to show you the crap that was on my tongue. Finally I come onto the most important part: the actual Brushing Itself. Here I take my Bass Toothbrush and add 3 drops of the Orawellness Healthy Mouth Blend and brush using gentle vibrating motion along each tooth and gum area. Remember that this method is used to help fight gum disease and will take some time to master, but it has been proven to be more effective than other brushing methods. When it comes to the Saliva Ph Test Kit, I actually didn’t know the point of it but soon researched it up and found out that Ph levels in the mouth determine how healthy your oral cavity. Too acidic and disease causing bacteria will be present. So it’s actually important we measure our pH levels each day to see the progress we are making. 1. first thing in the morning to determine your baseline oral pH. 2. before and after brushing teeth to see how using whatever product you use is helping to re-establish a healthier oral pH or not. 1. Cut a 1″ strip off the roll. 2. 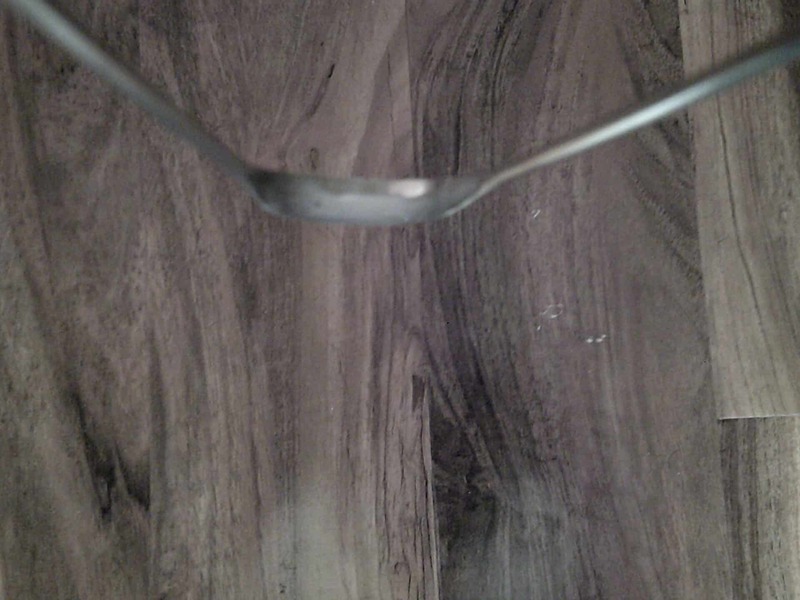 Spit saliva (not the thick stuff) into a cup or even just into a dry sink or bathroom counter. 5. 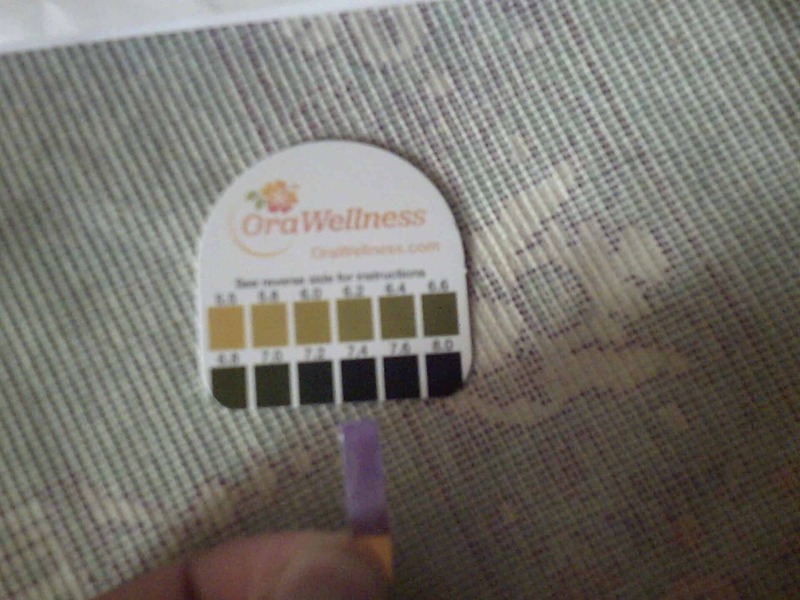 Record the morning pH so you can track your progress of shifting your oral pH over time. If you combine all the things in this starter kit, you will definitely see changes in your oral health in a couple of weeks, Trust Me! When I say ingredients I’m only talking about the Healthy Mouth blend and the essential oils it contains. Everything else is basically tools you need to carry out the cleaning itself. Cinnamon oil is found from the bark or the leaves of the plant. You will find several naturally occurring chemicals such as cinnamaldehyde, trans-cinnamic acid and eugenol. It is thought that using this oil regularly will help reduce your cavities, help keep your gums healthy and strong and most importantly kill bacteria that cause periodontal disease. Peppermint oil possesses a fresh sharp menthol odour and a pungent taste followed by a cooling sensation. It also has a variety of therapeutic properties and is used in mouthwashes, toothpastes, and topical preparations because of its unique antibacterial properties. Also known as Mentha Spicata, this ingredient is mainly used for its flavour. It gives off a sweet minty taste so will make it easier for you to use the product. Another property is its analgesic activity which means it helps to relieve pain wherever it is administered. Also known as Eugenia caryophyllus, It’s oil is extracted from the Syzgium aromaticum tree. Clove is a very powerful herb, it has great antiseptic properties, numbs pain due its eugenol content and has the highest anti-oxidant rating of any natural plant extract in the world. It is found in the Arabian peninsula and in Africa. It’s high in Flavonoids which can help to assist in inflammation reduction and naturally support the body’s own immune system. Myrrh has considerable antimicrobial activity and is medicinally used in a variety of diseases. It also possesses significant antiseptic, anaesthetic, and anti tumour properties. Also known as Leptospermum scoparium, it is found primarily from the east cape region of New Zealand. The essential oil and honey produced by the plant has drawn interest from the scientific community to be used as commercial product because of its potent antimicrobial properties. Evidence also indicates that it is up to 20 times more potent than Australian tea tree at killing pathogens, germs and bacteria. This oil has long been used in complementary medicine circles for its numerous health benefits. Although no conclusive scientific data exists currently, almond oil has many properties including anti-inflammatory, immunity-boosting and anti-hepatotoxicity effects. This makes it good base oil to mix all the other ingredients in to. If you are allergic to nuts then Jojoba oil is used instead. Don’t be fooled though, Jojoba also contains some powerful properties making it a good addition to the mouth blend. Jojoba oil exhibits a high oxidative stability and resistance to degradation so helps make the mouth blend last longer. First of all lets start off with the PH Test Strip. Before cleaning my mouth I took the test and the result was surprising. My mouth was alkaline which is a good. I personally thought I would have been on the acidic side but I have been making a conscious effort over the last few months to improve my oral health. The first thing I noticed after Brushing with the healthy mouth blend and bass toothbrush is the freshness and cleanliness I felt straight away. The smell of the mouth blend is really attractive, you get a hint of peppermint and cinnamon. Whilst I was brushing though, the taste got stronger and stronger. It was slightly bitter once I finished brushing but it didn’t last long. The bitter after-taste goes away after a few minutes, leaving that minty freshness. I didn’t but if you want to go a step further, add 2-3 drops to a small glass of water and rinse it around your mouth like you would a normal mouthwash. This will help the oils seep down and around every part of the mouth giving you that extra layer of protection. The other major difference I noticed was when using the Floss. Usually when I floss in between each tooth, there is a foul smell emanating, but when using the Healthy mouth blend and their floss, there was no smell whatsoever. Only one place in my upper left area had a foul smell. But hopefully once I use this product long enough, this too will vanish. The results you see when using the metal tongue scraper is instantaneous!, The picture below clearly shows you the white gunk coming straight off of my tongue. Of course I went ahead and smelled it (BAD IDEA). It was awful. But I noticed a massive change because there was no bad breath for most of the day. It only came back after I had something to eat and forgot to rinse my mouth out. Usually the good thing to do after eating a meal is to rinse out with water and floss to remove small food particles lodged in between your teeth. The best combination for me is to use the tongue cleaner and eat chewing gum straight after. It enhances the freshness of my mouth 10 fold! If your struggling with gum problems like me and want similar results that i obtained then you need to start off by investing in your own Oral Kit. Visit The Orawellness Official Online Store To Get Yours Now! First of all the tools that come with the Orawellness Starter kit are high quality and last a very long time, making this product well worth the price. Scientifically Proven Formula – The healthy mouth blend contains ingredients that have been studied and proven to help eradicate bad pathogens from the mouth. This combined with the Bass brushing technique (also scientifically proven) will give you results if you stick with the system. Step by step plan – This is one of the things I love about the product, it comes with everything you need to help better your oral health. In fact, it was one of the biggest factors for me buying it. It makes you conscious about cleaning your mouth and forces you to use each component of the kit methodically. Great Ethical Company – I have previously brought from Orawellness and the service they provide is fantastic. They keep you updated on your order and reply to all comments and emails. They are also doing their bit in becoming environmentally friendly by using recyclable packaging and sourcing natural ingredients rather than harsh chemicals. Instructions are not very clear and if you have not researched this company before you will become lost very easily simply because the techniques used here differ from the normal instructions you would receive from a dentist. Don’t get me wrong, there are instructions provided but they are very vague. You will need to do some research on things like the Bass toothbrush before you can implement it properly. Too Much to take in – With all the different components it’s easy to get information overload and if your someone who has never taken oral health seriously, you will need to do some more research about pH levels and why they are important. Bass tooth brushing technique is another thing you will need to learn. With all that being said, the learning curve is actually quite small. It will take around a day to get fully gripped with all the components so it isn’t as bad as you first might have thought. If you read carefully you would have noticed that she mentions using the product for only a few days which is actually unfair on the product. You have to give it at least a couple of weeks to really notice a change in your oral health. Just using it for a day or two and saying it does not work is a cop out in my books. But look at the top quality service the company provides. They replied to her comment stating they would do whatever it takes to help her out. It’s a small company so their customer service will naturally be high quality. It costs $29.94 and is the bare minimum you will need. To be honest, this will get the job done. It costs $42.97 which is very reasonable considering the items you receive. If you were to buy each individual item separately you would be looking to fork out $48.57. That’s a saving of $5.68 which makes this a good value option. This particular package costs $36.97 and is best suited for couples who want to start on their oral health journey together but don’t want to fork out tons of money. As I said before, if your someone who is starting to seriously get into oral health, the basic package will enable you to ease into holistic based remedies without getting confused. But if your already have a good oral hygiene routine and are looking to take it to the next level then I suggest you get the complete package like I did. You will learn a lot more about your oral health and it will make you actually stick to a routine. I say this because using this system takes close to 10 minutes from start to finish (for me that is). This includes bass brushing, flossing, tongue cleaning and using the Ph strip. You need to book in a time slot where you will not be rushing around. If it means waking up 10 minutes earlier in the morning then so be it!. Nearly Forgot To Mention 365 Day Money Back Guarantee! This is the only natural health company that I have come across that gives a whopping 1 Full years guarantee for physical products. This truly makes this product a no brainer to invest in. A chance to try out a product risk free without worrying about your finances is truly amazing! Orawellness has partnered with other businesses, natural food stores and dental offices to distribute their products, They are spread throughout the world from America, UK, Japan, Netherlands, New Zealand, Trinidad & Tobago. A quick note: Not All of their products are available from these local sellers and you can see there’s currently a small selection of countries who have taken part. The best way to order is Directly from The Orawellness Website because they stock all the products in one place and they ship worldwide. I have ordered twice now from the Orawellness official website and have had no problems whatsoever. Once you place an order you will get a confirmation of your purchase which you retain as proof of purchase. You will then receive a further email letting you know when the product has actually been dispatched. It took 8 days for my order to arrive but i don’t live in the United States. I’m assuming it will be a lot quicker for residents of America to get their order. 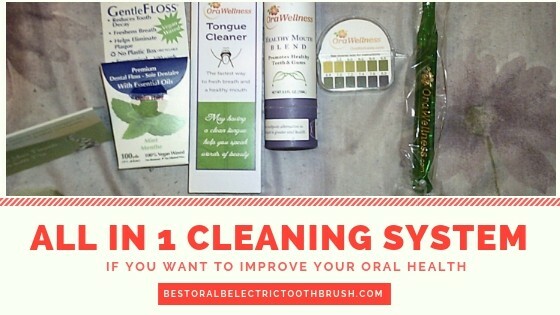 Without a doubt, the Orawellness Starter Kit for me is the Best Teeth Cleaning System available on the market. It covers the critical areas of your oral health and the tools and advice they provide is above and beyond anything else. The healthy mouth blend and bass tooth brushing technique are a revelation for me. Since implementing them, my gums have not been bleeding as much. If however you are someone who is rushing around in the morning and not paying enough attention to your mouth then this kit is Not for you. It’s only for people who are serious about fixing their oral health. I would like to add that other holistic based companies are slowly growing and gaining traction so maybe in the future they will have something better than Orawellness but at the moment: This is Number 1. It’s my personal view and I’m sure there are people out there who would disagree with me but I frankly don’t care. This Works For Me! Q. Do I need to spit out the Healthy mouth blend after brushing with it? A. Since the ingredients are simply organic and wild crafted essential oils in a base of certified organic carrier oil, there is no need to rinse. We recommend you just spit out the excess and leave the oil to work for a bit longer. Q. Do you test your products on animals? A. No, we don’t. We don’t like the mindset behind animal testing. It’s terrible for the animals involved, and we don’t see how testing something on an animal is supposed to determine safety for humans. Q. How long will the tongue cleaner last? A. This is the last tongue cleaner you will ever buy. They are the strongest, highest quality tongue cleaners we have ever seen. Q. What is your floss made of? 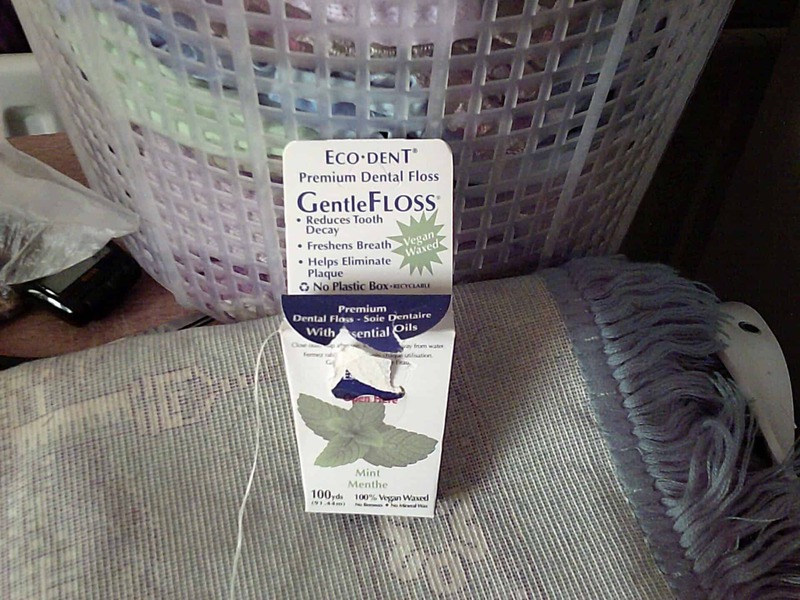 A. Eco-DenT Gentle Floss Premium Dental Floss Mint is a nylon floss that’s coated in 100% vegan wax (to help it glide between teeth contacts) and essential oils (for a refreshing taste). Q. I get that the Bass Brushing Technique is focused on the gum line. Do I need to brush my teeth too? A. Yes, in addition to using the Bass Brushing Technique to disrupt bad bugs along the gum line, it is also important to brush the surface of our teeth. Brushing the teeth removes plaque and prevents the bad bugs from eroding the tooth enamel. You can use the bass toothbrush to clean the surface of your teeth but don’t scrub too hard. Feel free to check out the video: How to brush your teeth to stop tooth decay. Q. Why is it important for me to know my saliva pH? A. Saliva pH is a helpful feedback loop to see how well our systems are doing managing an optimal oral pH environment. If the saliva pH is too high, we’re asking for trouble. And if the pH is too low, this provokes more tooth decay because the bugs implicated with tooth decay thrive in a low pH environment. If you have any other question that were not answered in this review or F.A.Q then please feel free to leave a comment below and we will make sure to get back to you. 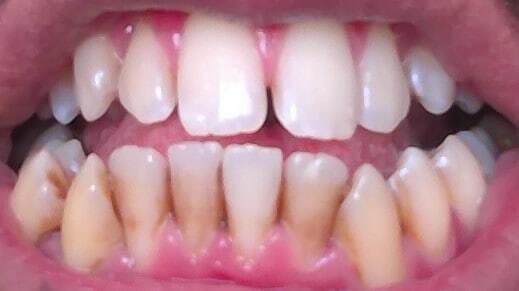 I was actually looking for something like this for my teeth.. after years of smoking (I did quit) and coffee drinking caused damaged to my teeth and they are not as white as I would like them to be. This seems to be something I can take a look and see if it works for me. Thanks for the review! 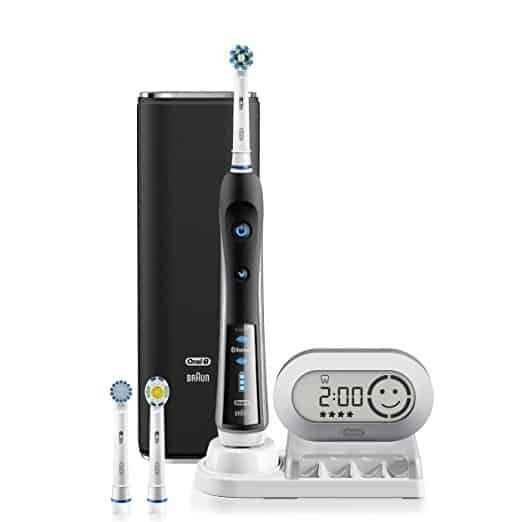 This kit is mainly aimed at reversing gum disease using proven methods like bass brushing and essential oils. It won’t really whiten teeth. If you want you can check out the Shine Remineralizing Tooth Whitening Powder if you want to lighten your teeth. Making connections begins with a smile. This Orawellness kit certainly can help! Very well explained on this site. The Ph strips and natural mouth wash blend make it a stand out. Using a tongue scraper is good advice, and learning about the Bass Method of brushing teeth totally makes sense for better oral health. You are certainly right about connecting through smiles and this Starter kit does exactly that. I have used this for 2 weeks now and my gums have drastically improved and i don’t bleed as much. The tongue cleaner is wonderful and my breath stays fresher for much longer. I would recommend you try it out and see how it works for you. Don’t forget that this system comes with a 365 day money back guarantee!! I don’t have the gum disease but I still take a good care of my oral healthy by cleaning it regularly. It is very important because on one hand it is directly related to the toothache and bad breath. Many people are aware of the importance cleaning their tongue. The Orawellness Starter Kit sounds like an all-in-one solution and the price is reasonable to me. I may try it the next time. Thanks for your in-depth article. This is a great article on oral hygiene and the importance of it. So many people do not realize how important brushing and flossing can be, after all, we have to use are teeth and gums for a lifetime. The product seems to be reasonably priced and it looks to be very sound and safe. some of the pictures are a little blurry, i would consider a little more distance for a clearer view. Thank you for this information. Funny thing is that, i specifically brought a camera to create better pictures with but it’s pretty awful even though it is 18 megapixel. Next time i will try to take better pictures. Sorry about this. I’ve always been good about brushing my teeth, but one of the things I have detested the most ever since I was young was the process of flossing. Maybe it was a subconscious thing, because my mom would always break out the floss when it came time to remove yet another lose baby tooth from my mouth. I had always had good checkups, and when I started using an electronic toothbrush, my cleanings were a relative breeze. Then i went through Chemo and Radiation for breast cancer. Ever since I seem to be dealing with what seems like a yeast overgrowth, or thrush, according to my research on the web. While eliminating sweets, and cutting down on bread lessens the amount, it has yet to fully go away. I know your post mentions gum issues specifically, and I do deal with small amounts of bleeding and sensitivity, only when I go for a cleaning. I like the fact that it’s all natural, which is hard to come by, and I was curious if this product would be beneficial for these issues as well? First of all i want to say well done for fighting through cancer. It’s very hard!. When it comes to the Orawellness Starter kit, i believe it will not be beneficial for yeast infection. I mean there are natural remedies for that sort of problem but you will have to do some of your own research. If you need something for gum disease then get the Orawellness starter kit. I did and it has worked very well so far. 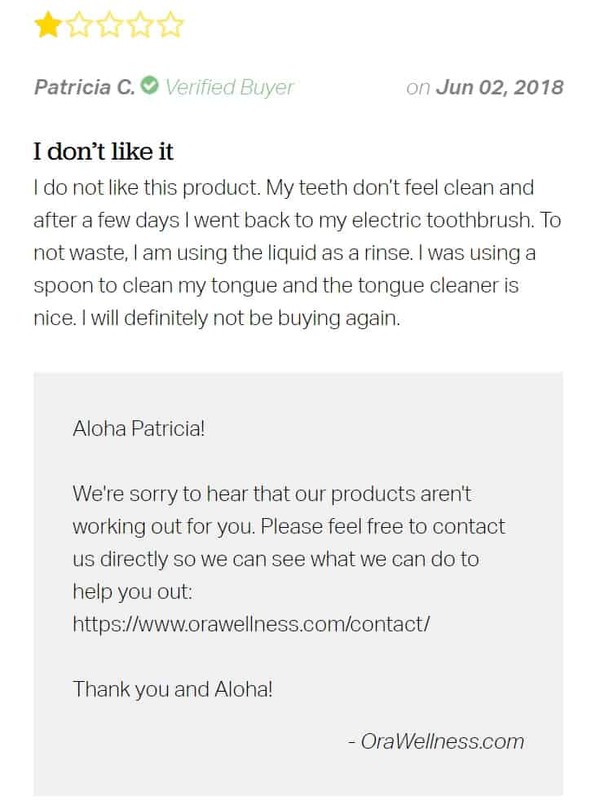 I was looking for years for an easy way to clean my tongue. But never saw any decent reviews, until I landed on your page. 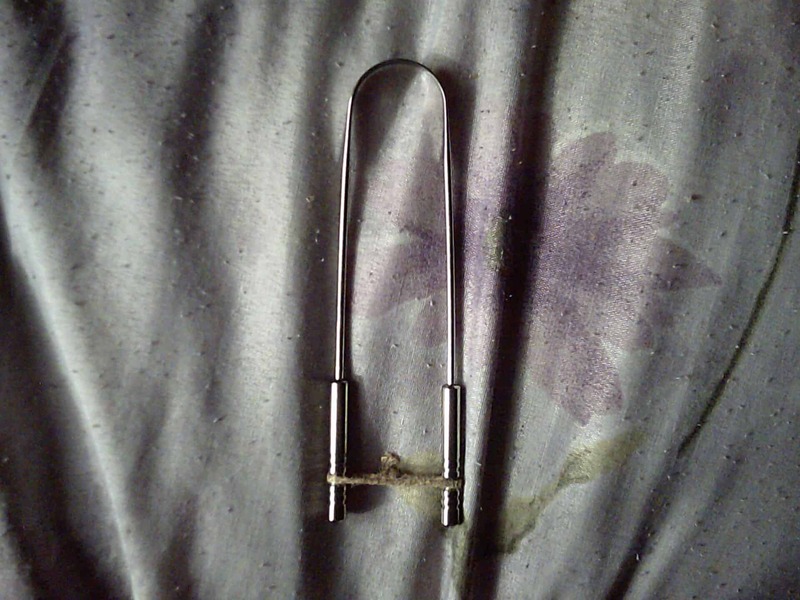 You’ve clearly used it yourself, as shown by your pictures. Most of the other reviews use some kind of stock photos which makes me think they didn’t use the product themselves. Thank you for giving such an extensive review! That tongue cleaner is very interesting looking. I see that these products are organic & eco-friendly which a lot of people are starting to try. A popular trend. I also love that they don’t test their products on animals. A couple of my favorite companies started to do that & I completely stopped buying from them!! I would love to see your after pictures or see others after pictures of using the products. Thank you for your extremely detailed post on everything that relates to general oral hygiene and cleaning technique. It was really interesting all along in your article. I am very interested now in this product, well everything that this kit includes. I also like it very much that they are all made of very good and natural ingredients, now I try to buy everything that has the same features. I am looking forward to your final review on this product and your results, and at the same time I will let you know when I purchase and how this kit works for me. 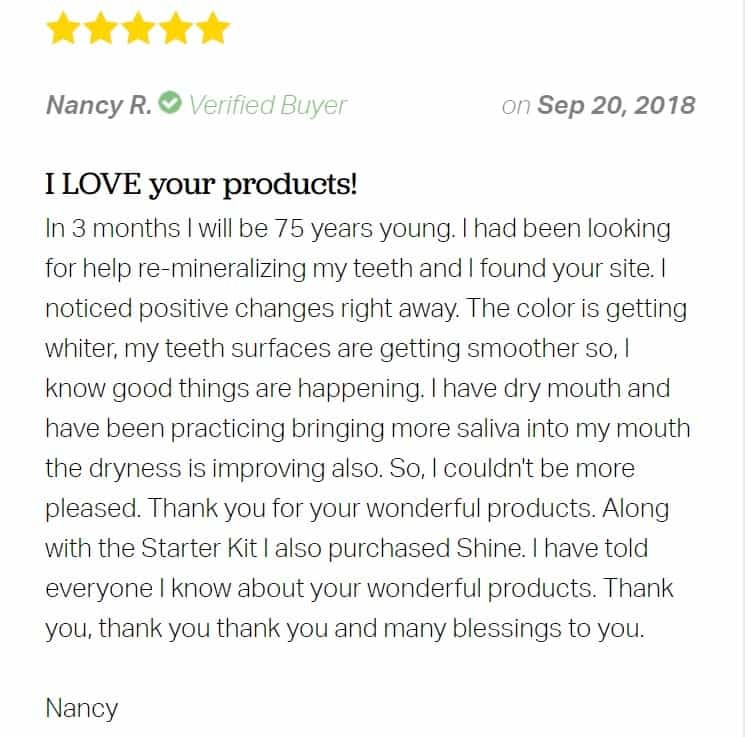 Great Oralwellness review! I too have practiced poor hygiene habits. I did not always fully understand the importance of practicing things like flossing and tongue cleaning (I thought brushing was enough!). I think many people fail to take proper care of their teeth until its too late. I am glad products like this exist to help us naughty people try and be more responsible for out teeth. HI, this is a really good review and I liked how you incorporated your own story into it as well. It is good to see how much difference you found after using the cleaning system for yourself and you gave a good testament to the different components of the system as well as it as a whole. This is something that I would certainly try for myself as well as recommending it to others. Thank you for the opportunity to review your article ,I must admit that I am not very familiar with the product that is being reviewed by I must admit you’ve done an impressive job doing this review on this oral kit. Your data and research are extensive ,and the content is sufficient,I think anyone looking to buy this product from your review will be very clear on how to move forward. Thank you and best wishes for your business. Thanks for the feedback and yes you are right, there were some grammatical errors which i have now corrected. Coming to your question, The company does state that they ship worldwide but always ask them before you place an order just to be on the safe side. They say Shipping can take upto 6 weeks which is a long waiting time but i received my products in under 2 weeks so can’t really complain. Wow! Thanks for such a thorough review on this teeth cleaning system. As some one who made the recent jump to consuming more organic food and products, I like that this teeth cleaning system is made with organic ingredients like jojoba oil and is ethically produced. Thank you for being brave by sharing your experience, it makes this more compelling and I can definitely relate—-I wasn’t strictly enforced to clean my teeth or go to the dentist either, matter of fact I didn’t seen one till I was 20! I also buy into proven effective methods with products not just blindly buying products. That’s why I was pleased to see the Bass method, HealThy Mouth Blend, and bass toothbrush to better and naturally clean gums and their bad bacteria. I appreciate that you covered not only good reviews but the bad reviews because you’re right that every product will have them. Therefore covering the potential downsides seems even more logical….like the vague instructions and information overload. I’ll be sure to look into pH levels as they relate to oral health and the bass method of brushing. Hi, this is quite the oral health system. I must say I am intrigued by what I see. I am generally ok when it comes to bad breath. I see the dentist every 9 months and brush my teeth daily. i always try to include the gum line and tongue. One question I have is, do you brush your teeth after and what do you use? Is regular dental checkups part of your oral health? And what type of report do you receive from your dentist about the overall condition of your teeth and gums? I might be interested in buying the 42.00 kit, roughly how long will that one last? I am also going to past this post on to my husband who is always buying products that promise whiter teeth. He doesn’t visit the dentists to have his teeth cleaned and I find sometimes his breath could scare a monster away. 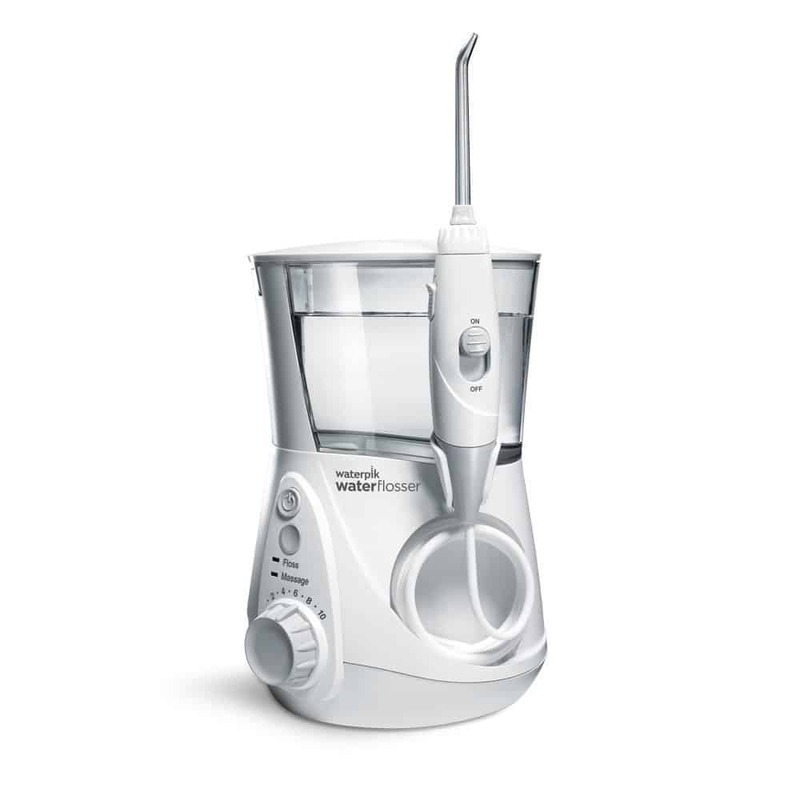 After i have used the bass technique on my gums, i get my Electric toothbrush and clean my teeth with that. 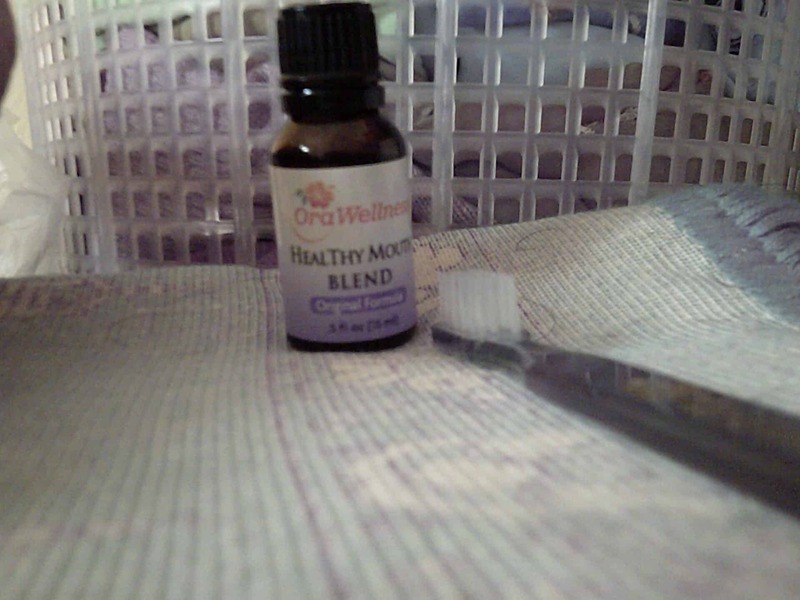 The residue left by the Healthy mouth blend is sufficient to help cover the teeth. I don’t really visit the dentist regularly, only when i have some sort of problem which is most likely my tooth filling. To be honest, my dentist is not very good when it comes to giving thorough advice. He has alot of patients and can get quite busy so it’s hard to sit down and have a chat with him. The starter kit should last you 2-3 months. That’s mainly because the healthy mouth blend oil will run out and you will have to order again. 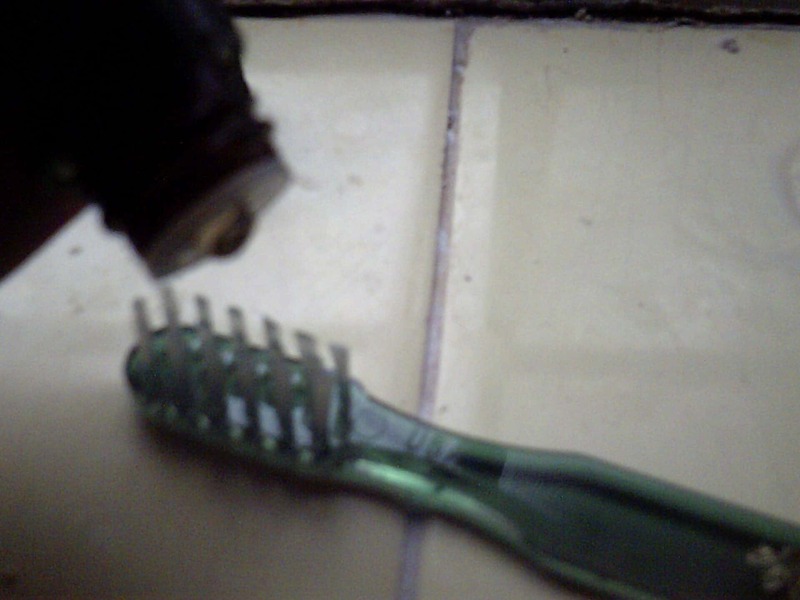 The bass toothbrush will also need replacing after 3 months. The tongue cleaner will last you a lifetime if you take proper care of it.